9 CDs each in an individual slip envelope housed in a cardboard box along with liner notes booklet. There is a pecking order to recorded jazz. Of course, first and foremost are the musicians who must be possessed of a talent which makes you want to be captured, to listen. Then would come the engineers, it does not matter what a cat is playing if you can not hear him. After these first two things are a few of equal importance, although in appearance not immediately so. The producer who wears many hats during a recording session and the jazz theorists/critic who, once Jazz was out of its infancy, would often provide the liner notes when the artist or producer did not. Another thing which grew out of jazz as it aged was the phenomenon of the anthology. The anthology is usually used to present a broad cross section of an artists oeuvre or to try to define the musics history or various eras. Inherently containing a large degree of subjectivity, this is far more difficult task than one may imagine. Which cuts by an artist are the best examples of what they are about? When trying to convey the history of an art or an era, who should be included and/or how many tracks? Ironically, as difficult of a task as this is, when it is done correctly, the producers hand is barely perceptible. The dichotomy of a difficult task combined with, when done right, subtle results, has made the mantle of anthology producer an art unto itself. Alan Lowe has achieved fantastic results with volume four of a four volume (36 CDs) anthology. Part of the reason for this is because he is not only a producer but a jazz theorist with a strong grasp of the jazz family tree and its many branches and complex roots system. The set is arranged chronologically, recording dates by year. Initially, looking through the accompanying book I bemoaned to myself what seemed to be an imperfect way to arrange each discs tracks. This methodology meant that a pre-saccharined Doris Day appeared a few tracks away from Bird and Diz. But there is a subtle magic afoot. As I listened, what Alan had set out to do slowly became apparent. Bop, modern-jazz was radical, but also inevitable. If Bird and Diz the two most visible progenitors had not come to midwife this art, then someone else would have. That is not to take away from what they achieved or to say that jazz would have progressed along the exact same lines. The way the discs are arranged you see modern jazzs Rosetta stone, bop, as it had emerged from all the forward thinking elements of big band and its sub genres. Just as Picassos ground breaking Les Demoiselles dAvignon (1907) seemed a total, radical break with the past and a launching pad for modern art, so too did bop. But, a closer look at the painting after the shock of the new is gone and one detects influences from the past, progressive elements from some of the forerunners whom he had admired mixed with more primal sources such as oceanic and African art, all of which he used to synthesize something new and uniquely his own. This set brings forth in an organic way many forward thinking elements which were to be found not just in big band, but also country-swing, tango, Dixie-land and even a nascent version of R&B. Showing us once again, that to be in any artistic vanguard an artist does not necessarily have to use all which came before, but a knowledge of it and perhaps cherry picked elements are both a must and the derigeur. The big band era can really be broken up into several strata. Unfortunately it is usually all lumped together so that early dance hall things make a listener who may have grown up on later jazz player/works avoid Claude Thornhill for fear of merely getting another Take the A Train type of work. Too often too, when jazz histories are written big band and orchestral ensemble history is truncated. Duke Ellington was leaning towards the symphonic and Count Basie deeply swung. Then there will be a few paragraphs of the more obscure trinity of band leaders Stan Kenton, Claude Thornhill and Woody Herman, each being inserted into either the Basie or Ellington slot. Jazz was seen as an American thing, a young art from a young country. It was sometimes a by-word for modernism and optimism perhaps tinged with a little bit of decadence. In Europe during the early part of the century composers began to let jazz elements creep into their compositions. What is interesting is there was, to some extent a boomeranging of ideas and inspiration. It was part of a not always direct cross pollination. Modern classical composers such as Le Sixe member Darius Milhaud would use some of jazzs idioms in his compositions. Darius had first heard jazz on a trip to Brazil as part of a government attaché. He would later teach at the Paris conservatory and Mills College in Oakland, California where one of his students would be the young Dave Brubeck. There are many other examples, Kurt Weil and his Weimar/Berlin cabaret songs, the discordance and satirical modern machine gone amok marches which occur in some of Shostakovichs works et al. The inspiration of classical stateside was for a more musical complexity. It is often said that the bop musicians were the first musicians who really wanted to be considered artists, shedding the entertainer moniker, but there were some band and orchestra leaders who also did not want to settle for merely making the people dance. When discussing the first wave of boppers, their day jobs filling the seats in big bands to some extent paints an inaccurate picture, that they were forced into a musical drudgery with nothing to absorb. While that was the case sometimes, such as Dizzy Gillespie and his stint in Cab Calloways band, the latter who kicked him out for, among other things, Playing that Chinese music, there were leaders whose certain aspects rubbed off on the up and coming artists, becoming important parts of modern jazzs overall palette. Stan Kenton had Dizzy do the arranging for a piece titled Interlude which would become one of the crown jewels of bop when renamed A Night In Tunisa. Claude Thornhill (1909-1965) was a piano playing bandleader/arranger who strove to merge the big band vernacular of the day with a more European classical complexity. He showed musical talent from an early age and had a formal education from the Cincinnati Conservatory and The Curtis Institute in Phildelphia. His first professional gig with the Austin Wylie Band, found him sharing the bandstand with friend and future big band great Artie Shaw. After this band they both cut their teeth further in Irving Aaronsons Commanders which led to them both becoming New Yorkers. From very early on, the big apple had become a sort of jazz promised land. With the end of his touring obligations Claude filled his time with various studio dates. During this time he worked with many of the popular big bands including Benny Goodman. From a growing reputation as a hard worker, plus an obvious talent in dealing with multi-instrument charts, he worked for two years with Glenn Miller before emigrating to the West Coast. There, he found work as the musical arranger for the Bob Hope radio show. Singer Maxine Sullivans songs Loch Lomond and Gone with the Wind were both made famous during this time with his help. In 1940 he recorded as leader. Knowledge gained from having worked for bands of various size and talent helped crystallize in his head what he wanted for a sound and how to get it. Records during this time were not made to last, they served more almost as a tangible souvenir of moments witnessed on stage, or as a sort of mental foreplay for what was to occur at the dance hall. Part of this reality, bands had to hit the road. Initially his orchestra filled in for Glenn Millers at the Pennsylvania Hotel and Sammy Kayes band at The Commodore. Both groups were different than what Claude wanted to do, but he made his music fit without compromising his artistic vision or disappointing the audience. From these two fill in slots they embarked on a seemingly cursed tour where every true road cliché seems to have occurred, including a ballroom fire which almost broke the bands spirit and will. A booking at the Glenn Island Casino (1942) provided a heaven sent reversal of fortune. After this two month residency the band toured, although not keeping up visibility via the usual route of radio broadcasts, which might have also left us with some scratchy if not compelling snap shots of how the music grew as it became more road tested. Having hit the rest of nation, the band ended up in California with some line up changes, including significantly, arranger/pianist Gil Evans. Before further momentum could be built how ever, Claude was drafted. He could have joined the coast guard as a chief petty officer. He instead opted to join the navy as an apprentice seaman (lowest rank). Despite claiming that he wanted to Get away from music he ended up in Artie Shaws navy orchestra. After his tour of duty, he was able to reassemble his band with most of the original members. During the war, a lot of big bands and orchestras had lost many of their members to the armed forces. The bands which managed to tour during these years were often drastically scaled back. Bop with its quartet/quintet line up was in its infancy just passing its theoretical stage but, showing ways of creating sonic complexity without the need of as many voices. Claude could not keep the orchestra going, he would still play, but with smaller ensembles. He died in 1965 and it is a wonder he found little employment after the late 50s when one considers how much of what he did figured into the equations of many of jazzs sub genres, if even indirectly. Claudes personal style of playing showed a classical feel to great effect. It was all cool Ravelian blues which would come and go, delicately skimming over his bands interesting and then unique tone. His laconic way of playing was a precursor to the cool school and some of its main figures such as Lee Konitz would find themselves on his band stand. He had perfected a way of his band playing with very little vibrato for greater articulation and also the ability to do more complex layering of sound. The charts were some of the most forward thinking and still offer an emotional pay off when heard today. One of the main arrangers was Gil Evans, who would figure prominently in not only the advent of Miles Daviss nonet and the creation of third stream music (The Birth of the Cool) but also a trio of albums symphonic in scope and which, shades of Claudes orchestra, find Miles adopting a vibratoless way of playing and lack of string section. Gerry Mulligan, baritone sax player was another to supply charts and also be around for Miles nonet adding both his voice and charts for him too. The track of Claudes here is Polka Dots and Moon Beams, now a West Coast/cool jazz staple. It has a melancholy bent and the piano manages to be prominent yet delicate. The arrangement is by Gil Evans and for most of the piece the woodwinds and brass merely blow a warm, soft breath under Claudes lines. As an interesting counterpoint the piece is followed by one by Harry James. If it is not apparent during the course of Claudes track, then after hearing this one you realize how different and how far leaning towards the European classical tradition Claude had been. As bop was forming there was a recording ban going on (1942-1943). For an art movement which would have such far reaching effects, it came together relatively fast. We do not have an audio evolutionary chart, but there are little pieces of the puzzle available. Bud Powell or Thelonious Monk, both are often referred to as high priest of bop piano. It does not have to be an either or though. Both had formal training, Bud studying the classical cannon as a child while Monk studied briefly with a student of Austrian modernist Arnold Schoenberg. While to some extent, they both had a percussive touch, there were many differences in their uses of harmonic structure and composition . They actually socialized and it was because of an unwillingness on the part of Monk to compromise Bud to the police that Monk had lost his cabaret card, then all important for a musician to be able to play in clubs. Both were on scene around the same time, some people implying that Monk took more of a mentor role, although he only had seven years on Bud. This anthology captures one of, if not the first appearance of Bud in a bop setting. Sitting at the piano bench for The Bebop Boys which also featured Kenny Dorham and Sonny Stitt. Buds sui generis has always been more his playing than song writing. He did write some songs which became modern standards, outliving bop (Tempus Fugit, Dance of the Infidels, Bouncing with Bud et al). Aficionados say that after X year there was a decline in his playing as to make it unlistenable, a tragic shade of his former self. I have never agreed with this, actually enjoying some of his last Blue Note and Verve dates. I do think he may have lost a step and not been as dependable after a certain year. Here though, he is to be found just entering his prime. He plays with speed but also a concise articulation not all those at the ivories seeking such speed seem to manage. Like Monk, there are brief glimpses of stride which they were both well versed in. Kenny Dorham, who would make a successful transition into the post-bop world of the next generations jazz scene, most notably working over the course of several compelling albums with tenor-sax player Joe Henderson, is found here playing with a tarter tone then he would later have. If he were to eventually become Quite Kenny here he displays a percussive snap, similar to peer Fats Navarros, showing an early precursor to the splatter school style of playing. Sonny Stitt who is sometimes written off as merely a Bird clone shows here, if not having yet found his own way, then the promise of great things to come. The next piece is by Stan Kenton (1911-1979) who seems sometimes to be put up upon the cross for the occasional populist ambitions. Some of his pieces do verge on the cocktail exotica, conjuring up images of suburban wood paneled rec-rooms. But it is easy to overlook that Count Basie had in his body of work albums such as Basie Meets Bond and Basie Meets The Beatles both of which being exactly what they sound like. Stan started doing professional arranging in L.A as a teen. Initial recognition came during his bands residency at The Rendezvous Ballroom (Balboa beach, CA), this notice allowing them to record a series of singles for Decca Records. Stan had the practice of absorbing all that was going on around him to see not only what he liked, but what he did not like. His album Artistry in Rhythm was one of Capital Records first releases and a popular one at that. Although never merely a big-big band, Stan did use vocalists on occasion. Anita ODay was his first popular singer. His forward looking charts and her late night sensuality were a perfect mix. In time she would leave the band to be replaced by a singer who had initially been inspired to sing professionally from hearing her, June Christy. June had that big city cool about her. Hers was a hip grace that was the shimmering coolness of night lights diffused through a martini glass. 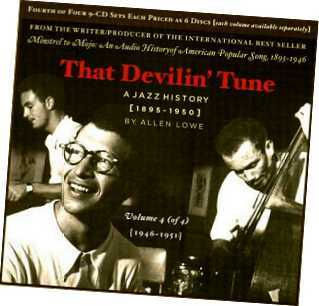 As bop was morphing, Stan, along with Dizzy, were among the first to inflect Latin American nuances into their pieces. He employed arrangers, who like himself wanted the music to serve as more than a catalyst for dance floor motion. In an early 50s tour which also featured a string section they purposely did not play in any dance halls. Many of his soloist would become band leaders in their own right, Stan Getz, Zoot Sims Art Pepper. Lee Konitz and Gerry Mulligan would appear with both Stan and Claude Thornhill. These complex arrangements were given extra depth by Stans unwavering practice of demanding his star soloist play something different, in the moment, every night. A practice which later, that Charles Mingus would also constantly utilize for his intricate neo-symphonic pieces. Stans piece Ecuador has that hipster exotic vibe about it much the way some of the better versions of Dukes Caravan do. The piano with descending bass beginning is brief but immediately caught my interest. There are some great horn parts including a theme played out by trombone, an instrument Stan always favored. The piece winds down with same bass/piano pattern with brass speaking up a final time. Stan spent most of his life on the road to the point of not being a home owner. L.A was considered his home, but during downtime his address would more often than not, be a hotel. This CD made me want to explore more of his work. Of course care must be taken in which albums to buy, but with any artist whose catalog is large and who made it a point of continuing to artistically evolve the same caveat exists. There are some pieces by messianic pianist Lennie Tristano (1919-1978). He has become one of the trump cards in the Name the musicians musician game. While he had always, to some extent, taught, later in life he devoted himself almost solely to teaching. With his cult of personality, he took on students, often the way a guru would disciples. He had some advance theories on improvisation and his own playing was dark hued and modern calling to mind some of the solo piano works of Leos Janacek. I prefer his solo or trio work as opposed to the work he did with Bird and other horn players. In teaching he seems to mainly have taught horn players. Much like surrealist figure head Andre Breton, there would be his equivalent of trials and excommunications of anyone that deviated from the established dos and donts of his group. Lee Konitz was one of his star pupils, excommunicated for his seemingly populist recordings and stints with both Stan Kenton and Claude Thornhill. Through the lens of time all of that seems unimportant now, the passionate battles which occurred within this group making for interesting reading, but holding very little importance in the here and now. Inspired partially by the improvisations of Bird and working with many who would be absorbed into the cool and third stream genres, Lennie is one of few to be found on this anthology whose influence would leap ahead a generation if only in certain aspects, to the free jazz genre. His use of space was different than that of Ahmad Jahmals and combined with a classical counterpoint and dense chord clusters. The Lee Konitz trio album Motion further shows the influence on the yet to come free jazz. The track Yesterdays in this anthology is solo piano. There are some with Bird and some with Lee Konitz. Here though is Lennie Tristano, undiluted. The tone is dark and beautiful, a drifting storm cloud getting stuck on the apex of a mountain as it floats by. This piece is sixty years old, yet it is still très modern, and not merely in a shocking way such as to be felt upon first hearing some of the later free jazz lexicon. This is both modern and beautiful. With most artists or heroes, a close look with much scrutiny most likely, would reveal feet of clay. Life choices and personality aside this is an artist of highest caliber worthy of exploration. Throughout this anthology can be found, lightly peppered, some Dixieland and country swing. The Dixieland is of a later model, being as far as the soloist go, more sophisticated than was the norm for that genre. The country swing represented here was when the genre was wide open with none of the rigid stylistic restrictions that it and regular country music would later have. Occasionally in jazz (and perhaps music in general) art would, by pure happenstance, mix with popular culture, such as the initial introduction of samba on the Getz/Gilberto albums, Miles doing Someday My Prince Will Come and John Coltranes irony free take on My Favorite Things. Successfully mixing these two seemingly divergent elements over many of his bands incarnations was Woody Herman (1912-1987). As a child he was, like future band-mate, Zoot Sims, in vaudeville. Woody was a singer/alto sax/clarinet player who spent his formative years playing with the Isham Jones Orchestra. Upon dissolution of the band he poached members to create his own band. When writing about the various incarnations of his band, they are referred to as herds The first herd, The Second Herd and later The Thundering Herd. His first ensemble and the one appearing in this anthology was called The Band That Plays The Blues. Woody was always more than willing to directly incorporate new musical ideas into what he did. This first band did not catch on right away, having such a sonically advance bend. Success finally came with their Decca Record (and theme song) Wood Choppers Ball This band lasted about five years. One of the most important 20th century classical composers Igor Stravinsky (1882-1971) was a fan of this first ensemble. He wrote Ebony Concerto specifically for them even participating in some of the rehearsals. It is an excerpt from this concerto which is to be found on disc one. What I, as a fan of a lot of the 20th century composers noticed was that the band does not play like a jazz ensemble playing classical, but as if one were listening to a smaller orchestra. Ebony Concerto is not nearly as proto-third stream as some of what can be found in Claude Thornhill or Stan Kentons books, although, here too there is no string section. The music has the same feel as Stravinskys LHistoire du Soldat which he had written for a small touring ensemble during the war with the troupes portability in mind and war time budget constraints. Woody Herman is not always considered as progressive as the other two aforementioned bandleaders, but his modernism was in really absorbing and embracing the best of what was current. His bands next incarnations would feature many of the bop and burgeoning cool school of players such as Stan Getz, Zoot Sims and Al Cohn. Like his peers Woody used the best arrangers seeming to allow more bopish inflections in his music in arrangements by Neal Hefti, Al Cohn and many other up and coming notables. While always of the times, Woody never completely submerged his musical identity for the sake of being au current. He left a large body of work, with some definite misfires but more gold than lead. Frank Zappa once said Jazz is not dead, it just smells funny. In some respects, new jazz has lost its way. There are young players coming up with much dexterity, some with soul too. But jazz has forgotten that a lot if what is now established music/genres at the time was railed against by a large part of the music intelligentsia. The new Bird, wont be the one who can solo or improvise as fast, it will be the one who brings something new to the table. This anthology shows the vanguard drawing from the past, but also forging ahead in a new way. Once again jazz needs to do this, drawing this time from modern classical and ethno-world music or risk losing one of its main components, that of the unknown, the new, as it becomes a staid nostalgia. This collection aside from the things I mentioned has many other things in it. There are glimpses too of what was going on elsewhere only seen peripherally if at all by musicians in the states, things like Argentinean tango master Astor Piazzolla and Cuban percussionist/bandleader Chano Pozo. There are a few, very few, clunkers in this anthology, things just not to my taste, but even those have their moments. I found that although some of the usual suspects appear (Monk, Duke, Miles), as well they should, it is not the standard tracks one hears again and again in jazz anthologies. The CDs have all been remastered. None of it sounds bad, out of nine CDs there are a few tracks with minor sound drop outs or some slight hiss, but if the newly discovered Bird and Diz live at Town Hall does not bother you, then possessing better sound, this definitely wont. The actual individual CD packaging is no frills, just plain white envelops with clear cellophane windows into which the CDs slide. I do not mind that though, as it is easier to use than some of the more fancy packaging I have encountered. The CDs themselves are labeled and numbered along with the time length on each, a practice I wish were more common. These all fit into a cardboard box along with a large informative booklet with notes by Alan. I do not agree with everything thing he says, but there is logic to it all and he makes no absolute pronouncements which are completely left of field. A perpetuating beauty of this anthology is that you can return to it again and again and even with the terrain you have already traversed, discover new things to inspire and entertain. This anthology manages to offer up in a logical and entertaining way, the how and why of modern jazz. I recommend it.